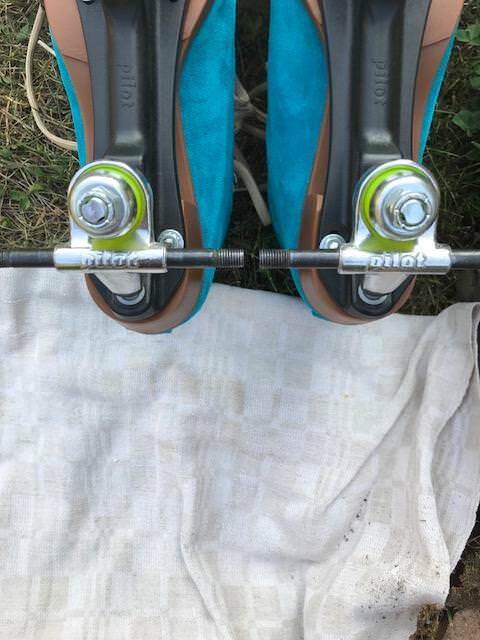 I just bought Moxi Lolly boots and got Pilot Eagle plates mounted to them by the local (quad/derby store). I told them I am going to skate outdoors mainly, hopefully one day going to the ramps. Before this, during derby times, I skated a Riedell She-Devil package, so I am fairly new to the high-heel kind of boot and wouldn’t know how those are typically mounted. 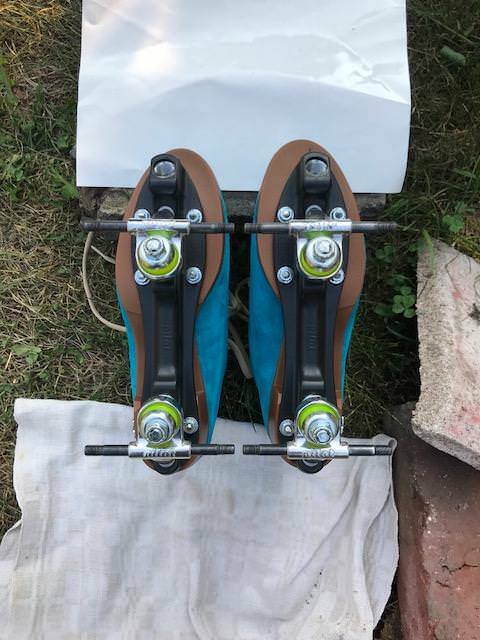 Anyways, when I got the skates back I thought that the plates were mounted unevenly laterally. However, looking at them upside down, it rather seems to me that the left plate is further back on the boot than the right one. I tried to get a picture of that, aligning the axles. Could I just fix that myself by taking out the front screws of the left plate, moving the plate forward as much as the slitted holes allow and redrilling the front holes? My concern is, would the new front holes be too close to the previous ones, the boot having a rubber sole? For me the real test is with wheels mounted, when looking straight down is the same amount of wheel showing on each side of the boot. To my eyes it looks like that will be the case. 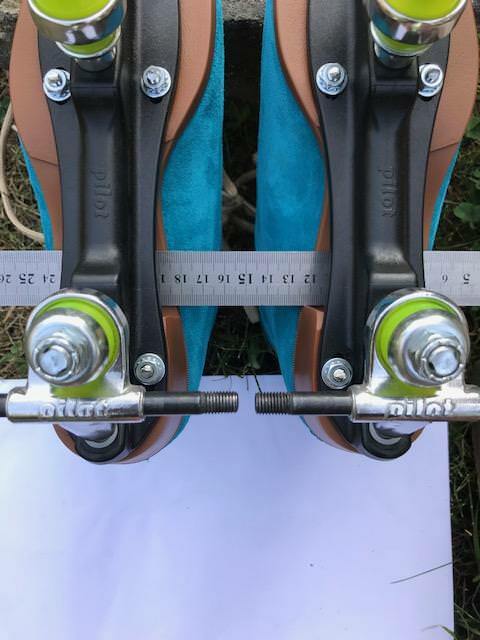 If the center of the plate lined up with the center of the toe curve it wouldn't and the skates would be difficult to control. Yes it does look like the from to back placement is off a little. 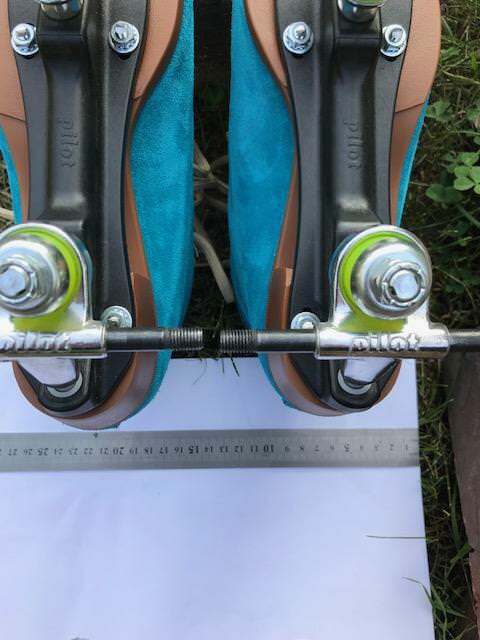 I doubt it is enough to be noticeable when skating.